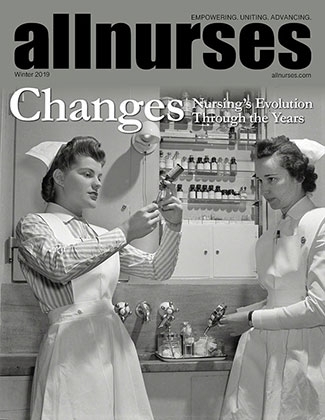 You are reading page 5 of How would Medicare for all affect nursing?. If you want to start from the beginning Go to First Page. This will certainly vary in different systems but we either get patients in clinic or seen inpatient the same or next day. If they are seen and diagnosed in the ED and are appropriate for clinic we have an appointment set up before they are discharged. All patients would be covered but by a government run plan. Many doctors already refuse to see Medicare patients because the reimbursement is low. Can you imagine when the government knows the doctor has no choice how much less the reimbursement will be? I imagine that FNPs will be doing alot more instead of a doctor, but without the increased pay. Many doctors refuse medicaid patients because of it's low reimbursement rate. Medicare is different than medicaid. One advantage to Medicare for all is that it would replace medicaid. Not true. Bernie is in record saying he wants to eliminate private insurance as did Booker and Harris (Harris later walked back her comments). Private insurance and private healthcare are two different things. Have you ever tried to find a PCP for a traditional Medicare patient? Both Medicare and Medicare have low reimbursement rates. As a case manager, in my state, I find Medicaid is better for the patient. More dme is covered, patient can get a home provider, transportation to appts provided, little or no copay for meds that even Medicare will not cover. So you are saying they wouldn’t be government run hospitals, rather it would just be a federal funded plan, correct? Many Doctors also do refuse Medicare along with Medicaid. If the only plan available was Medicare than it wouldnt matter, but if one of the other private plans are also available this would still be a problem. I knew nurses who worked at the VA and told me their ratios did not change when the Calif ratios were first implemented, I guess they have since changed. I wonder if it was only in Calif or nationwide. Hmmmm.....If I had to guess I can see the VA just doing whatever they wanted haha.